The first time I noticed that I needed to change was about 23/24 in Long Island. When days/weeks and even years start to feel the same, it's time for a change. Getting out of the routine just gave me a burst of energy. This new energy and new environment changed everything for the better, including my business. If your business doesn't give you this freedom to make that change, you should change that and find a way to control your own destiny. Hey, good morning everybody, Anton Kraly here from ecommercelifestyle.com and welcome to another episode of the eCommerce Lifestyle Podcast. So, I have not been recording these as often as I, was kind of sticking to a schedule for the past couple months, and reason being is because I have been in North Carolina. I'm back in, I'm in Texas now, in Austin where I currently live, but I was actually out there looking at homes, and actually bought one. So I just bought my first piece of property, which is crazy 'cause I'm like 33/34 years old, but yeah, I've been out there, shopping around, looking at different spaces for business, and for living. I'll talk more about that just in a few minutes. I just wanted to record this one on the way in to talk about something, I guess update you about the move, and talk about just knowing when it's time for a change, and what I personally do when I get that feeling and know it's time for things to be switched up a little bit. So, the first time that I noticed that I really wanted to just change everything about how my days looked, about how my life went, was when I was probably I want to say 23/24 in that age range, and I was living in New York where I'm from. I was living on Long Island in a town called Long Beach, right on the beach. I had been running my business for a few years at that point, doing very well, and I just had this feeling like, what's changing here? I love all my friends from home, they're still my best friends in the world, but a lot of my days started to just feel the same. A lot of my weekends felt the same. A lot of my months and my years started to feel the same. I just felt like, well what's my life going to look like in like five or ten years if I'm just living here? Yeah I'll have more cars, I'll have a bigger house, but what's gonna really be different? If you're wondering like, why did something have to be different? You know, that's a great question. Something I think about sometimes, maybe it's just because I do get bored of things and I'm always looking for, I don't want to just say another opportunity, but always looking for something different. I'm looking for variety, because without variety, I get in to that place where I feel bored, so back then again, I had that feeling, and that was actually the first time that I had moved out of New York, and I decided to move down to North Carolina and reason being, because the weather is better for most of the year. I was playing golf like three or four times a week back then. Bunch of great courses around where I moved to. I just totally changed up everything. Moved down there, had a whole new place set up, and it was just like this, not a new life, I'm the same person, but doing something else every day gave me a whole bunch of energy, got me really excited. Not only did I feel better just with my day to day life, but I also saw my business increase, and I'm assuming it was because again, I had this change, I had this new energy. I got out of the routine. I totally just shifted everything. So that was big, that was my first one. Then what happened when I was there, is I lived in North Carolina, again I'm bad with years, 'cause it kind of blends together after a while, but I was living there maybe two or three years. Again, I really did enjoy it, but I was in a relationship when I was there and it was honestly, it was a bad relationship. It was not good for either of us. Kind of running the same businesses, doing my thing, enjoying it, but had this negative experience with the relationship, and kind of, the stars aligned, because when we finally broke up, it was the same time that the lease at the place I was living ran up. It was the same time my car lease ran up. I thought, you know what, I got to just change things up again, like it's time for a change. That was actually the first time that I ever went out to Southeast Asia. So, what did I do? I stayed. I ended up staying the first time I think for I want to say about a year, like nine months to a year in Chiang Mai, and of course traveling all around Southeast Asia, and again what happened? My business grew. I was more happy. I had new experiences. It was just a totally different lifestyle. After that year I moved to Ho Chi Minh City to Saigon in Vietnam. I lived there for about three years. So again, you know just change things totally, have this whole new energy, same thing, me being the same person but in this new environment, with these new friendships, with these new experiences. It just totally changed, again it changed everything for the better. Now after that we were in Vietnam. I ended up opening and office in a coffee shop that went out of business in Saigon. I just ended up taking over the lease of this place and we moved our team in to there. I started hiring more people. Then after, again three years in Vietnam, I thought you know what, it's time for a change. I love it here, great city, but I'm bringing people out from the states to work here. Not exactly registered to run a business in Vietnam. Let me bring this back to the states and grow there. So the plan back then was let's go to Austin, Texas and I probably mentioned this in YouTube videos like three years ago, five years ago, I don't even know when, but the plan was, we're gonna go to Austin, Texas, I'm gonna give it three to five years, and see what to do from there. So what happened? Three and a half years ago, moved from Vietnam to Austin, Texas. Had our office here, opened up right away. Hired a bunch of people. Learned a lot more about what I like and what I don't like about employees and team members. You know, had some good experiences, had some bad experiences. Overall, definitely positive though. Again, now with three and a half years later, it's time for another one of those moves. That's why today, as I drive into our office, this is I think like, I think I have the office for like five more days. So, basically it's gone at the end of this month. Why? Why would you shut down the office? Well for the same reason I shut down the office in Vietnam, because it's time for a change. Again, this might be a personal thing, but I start to get this feeling where we're in this routine, and again routine is good in a sense like things are going well, business is growing, but it's like this boredom that comes with it. It's that, 'what's next' and 'what else can we do'? So, the decision, this time, was to stay in the states for business purposes honestly, and for growing the team, and for opening our warehouse, but yeah, the state that I chose with my wife, is North Carolina. Again, we're going back, or I'm going back, she's moving there for her first time. So we've been taking a couple trips out there over the past couple months. On our last trip we found a home we liked that was literally not even on the market yet. They had a little 'for sale' sign by owner outside, they had just put out on the lawn. We liked it, we made an offer, after some back and forth, they accepted, and yeah, now I own a home in North Carolina, and I have a couple commercial properties that I am just kind of weighing out my options and deciding which on to put an off in on. So, what that basically means is that in the next few days, my office in Austin is gone, I'm keeping the place that we live out here for the next couple months. Then sometime in June or so we will be moving, I will say goodbye Austin. I will get in my car and drive as fast as I can to North Carolina, get the office and the warehouse set up out there. Move in to the new home, and we'll start our life out there for who knows, maybe the next ten years, maybe the next five years, maybe the next twenty years, until it gets bored, boring I should say, or until things get stale and and until I know it's time for a change again. So, okay I just shared kind of my story with moves and reasoning behind it. How does that apply to you? Well, I'll just say, if I, let's say my first situation, when I'm in New York, running my businesses, everything's going well. I could've never made that first move, and I could have just stayed there. Where would my life be now? I honestly don't know, but I'll tell you, the experiences that I had as I traveled around the world, as I built our team in Austin, when I played golf four days a week all year for years on end in North Carolina the first time, like those experiences I can't imagine not happening and I wouldn't give back. I'm definitely happy that I did take that step and didn't get stuck in the same routine that I was in back then. Not that it was bad, not that my life was terrible, but that there is time and a place where you know when you want something different and when you want change. 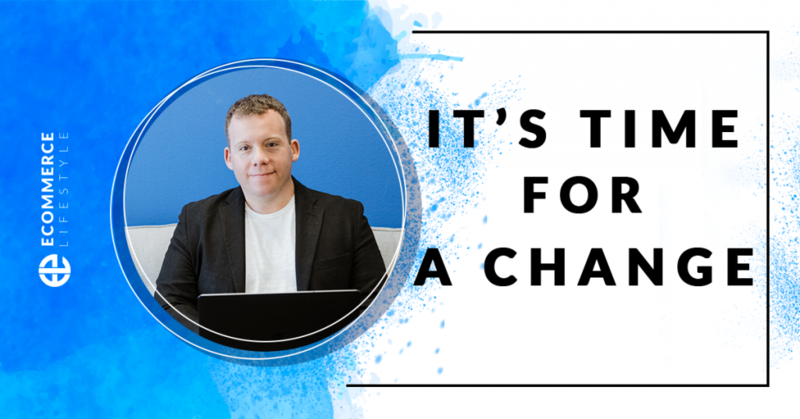 If, this is the message for you, if you're not running a business that gives you the freedom where you can make that change, it is time to start transitioning into a business that gives you that opportunity. So the reason I've been able to do this, is because I've been running location independent businesses since 2007, and because if I have my computer and I have internet, you know whatever, not to brag, but I can make money regardless of where I am. My businesses are in place, I have systems, I have everything through a laptop, so I'm fine with that. So if you think, you know what, I really want to change where I'm at, but I have a job, and they don't have an office where I want to move in wherever, in Florida, then guess what? Start building your own thing because the only way you'll have control over your destiny, is when you control your income or of course if you work for a company that's remote and has all those benefits, than you can do exactly what I'm talking about. Even though we're coming more popular, I know it's still a small, small fraction of the companies out there. Also, if you run an offline business, which I know a bunch of people that listen to this do, if you have, whatever, you own a local furniture store, or you have a landscaping company or whatever it is, start putting processes in place, so that it can run without you, and definitely consider selling one of those businesses so you have a lump sum of cash, so you can build your own online streams of income. So you can really have that freedom to move wherever you want, whenever you want. Listen for everybody listening to this that's not, I don't know, that's not aware of how to start, or that doesn't know what to do next, if you're looking to build your own highly profitable semi-automated store, again this is what I've been doing for over a decade, I teach you how to do this on my website, dropshiplifestyle.com. So if you want the free training to get started and see if this is for you, just go to dropshiplifestyle.com/webinar. Again, it's dropshiplifestyle.com/webinar and you'll be able to get my free training, see exactly how I do this stuff, and see if it's a good fit for you and for the lifestyle you are looking to build. I don't know, hope you found that useful, just wanted to share this, I'm outside the office now. I'm gonna go in and decide what stuff I'm taking and what stuff we are selling. Yeah, it's a bittersweet ending, but again I'm excited for it, I'm ready for the move, so yeah, if you guys have any thoughts on this, I'd love to know. If you have any questions for me, go over to ecommercelifestyle.com, click on episodes, look for this one, and leave a comment. I will talk to you soon. See you everybody.